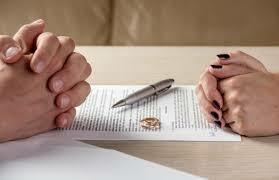 At some point in the difficult divorce process you will be asked to fill out a CIS (Case Information Statement). The CIS is a financial disclosure document which, among other things, establishes your standard of living while married. Although this has been a long-established principle, it recently grabbed the attention of the legal community and the forensic CPAs who assist them. On September 12, 2016, the N.J. Appellate Division issued a ruling in the matter of Lombardi v. Lombardi. We disagree with the court’s decision and hold that regular savings must be considered in a determination of alimony (emphasis added), even when there is no need to create savings to protect the future payment of alimony. The decision is a good reminder that when meeting with your attorney it’s imperative to tell him/her about the pattern of savings you enjoyed during the marriage. If you have access to monthly or year-end statements from financial institutions holding your money, make sure you give them to your attorney.